Excellent Book! Angie shares her personal story along with a wisely written guide to help you discover how to live your life with out the filters added by painful experiences. She makes it fun by adding details about gem stones and pirates. 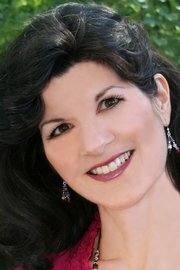 By using thought provoking questions, tidbits to entice your mind she helps you uncover your personal treasure chest. In Gems of Wisdom: For A Treasure-Filled Life you'll embark on a treasure hunt for God's unique gems of wisdom. Be empowered, learn to influence through your own life lessons, and preserve important relationships. Gems of Wisdom invites the reader on a treasure hunt to find important life concepts represented by the beautiful stones God created. Excellent for Bible study and book clubs as well as individual study. Angela Breidenbach is Mrs. Montana International 2009, a multi-award winning inspirational speaker and the author of the Gems of Wisdom: For a Treasure-filled Life from Journey Press, the Creative Cooking Series including the new release of Creative Cooking for Simple Elegance and the new Kindle release, Creative Cooking for Colitis. Other works by Angela include compilation books and devotionals from Guidepost, Group, and articles in magazines, ezines, and newspapers. She connects missions to her work with Hope’s Promise Orphan Ministries and the Jadyn Fred Foundation. Angela also teaches online classes and coaches one-on-one in courageous confidence, personal growth, and powerful living. She’s certified in mentor/peer counseling as a Stephen Minister and life coach. Angela serves as an assisting minister for her congregation in Missoula, MT. She volunteered as the American Christian Fiction Writer's publicity officer for two years. Not only did she walk the hard line of deciding to donate her mom's brain for the study of schizophrenia, but she’s also on the brain donation list at the Brain Bank-Harvard McLean Hospital. Angela is married with a combined family of six grown children and two grand children. 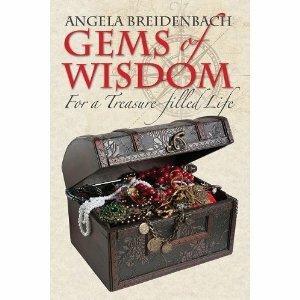 Gems of Wisdom: For a Treasure-filled Life releases May 2011 from Journey Press, a Sheaf House imprint. Thank you so much for having my book featured on your blog, Diana. I'm really blessed by your opinion! I'll check back in to visit through the travel day today. What a sweet joy to be hosted on your blog, Diana. You've been such a blessing to me this week! Angie, it's my pleasure to have you here checking in today. Your book is filled with such wisdom that is useful for not just those hurting from a major crisis with a parent, but because we are human there are many hurts we experience through life and carry with us. Gems of Wisdom is a good way to uncover and learn how to deal with them.